Tanya joined 14 chefs from across the country to compete for the title of Top Chef. Amid the stunning backdrop of Colorado viewers experienced sights (the breathtaking Rocky Mountains) and challenges (making an oven in the snow) that have never been seen before on Top Chef. 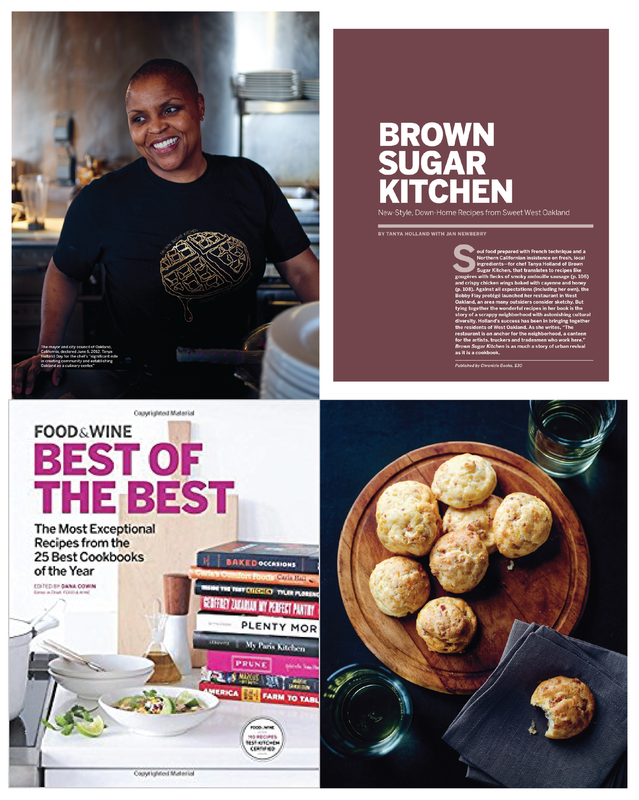 "At Brown Sugar Kitchen in Oakland, Tanya Holland’s Creole shrimp and grits seems to be infused with concentric layers of flavor. Customers feel so passionate about the dish that they regularly pay tribute with love letters left on their tables." THE WELCOME TABLE Chef Tanya Holland hosts a soulful seder. 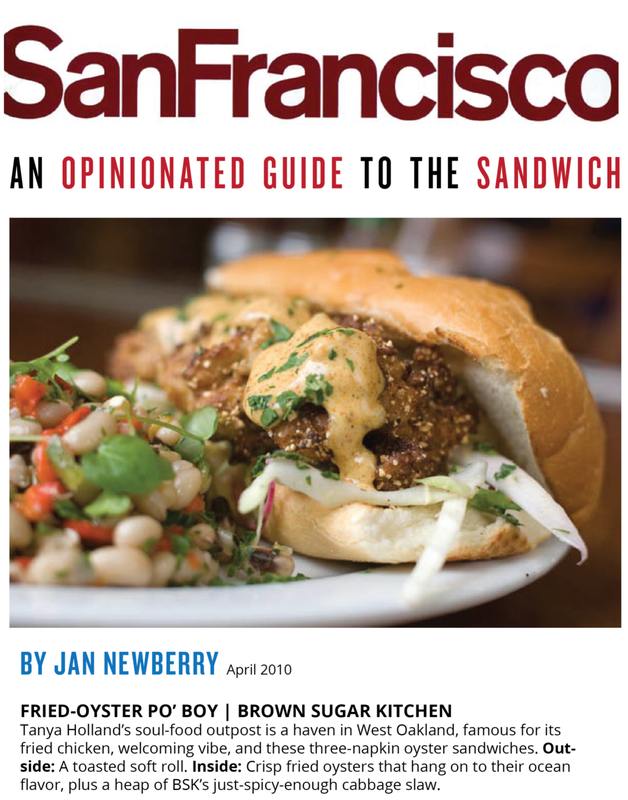 The pan-fried chicken, soaked overnight in spice-infused buttermilk, may well be the best fried chicken in California, impossibly juicy, stained Tabasco-scarlet beneath its crackly crust, flecked with pungent fragments of fresh herbs. The cheese grits with shrimp would be renowned even in South Carolina. 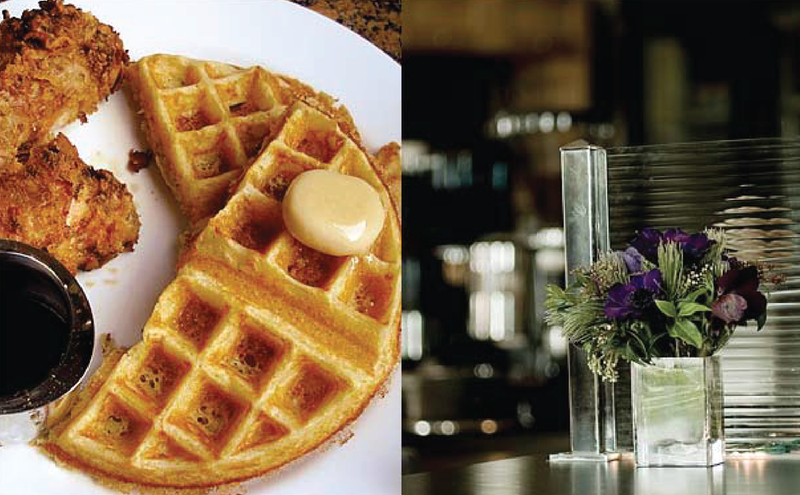 Behind the diner-style counter, chef Tanya Holland ladles batter onto a waffle iron for airy, yeasty, cornmeal waffles to serve with tarragon-laced buttermilk fried chicken. The classic combination was allegedly created for jazz musicians who got off work so late, they couldn't decide between breakfast and dinner. 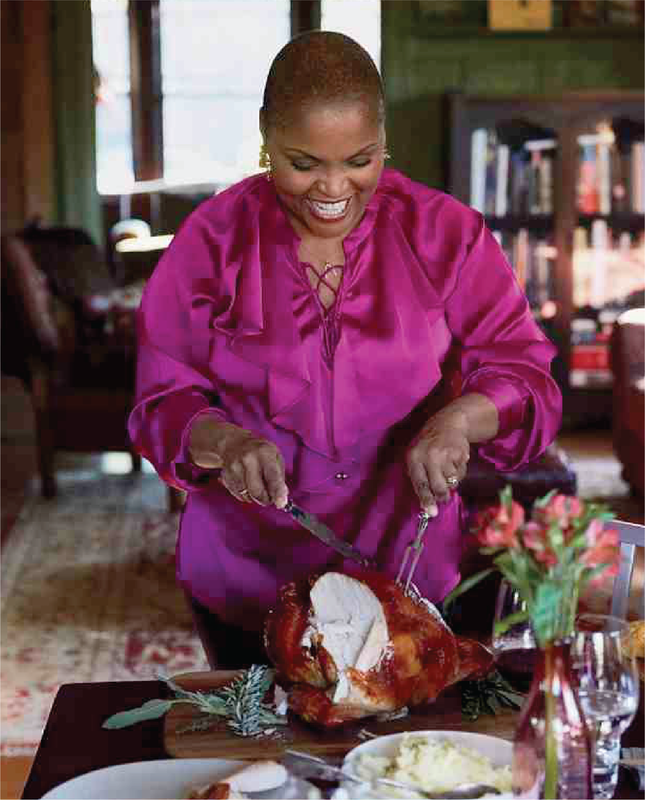 "I love Thanksgiving" Tanya Holland says, "It's non-denominational; everyone's invited. My gatherings tend to be a little like the island of misfit toys". The chef is so devoted to the holiday that the she was a homesick 26-year-old student at France's prestigious La Varennes cooking school, she inviter her classmates to a Thanksgiving Dinner.